The Vado’s Specialized 1.3 motor with Rx Street Tune is fully integrated with the frame, and it's also been custom-tuned for city riding. It intuitively reacts to the force of your pedaling, so the harder you pedal, the more power it delivers. 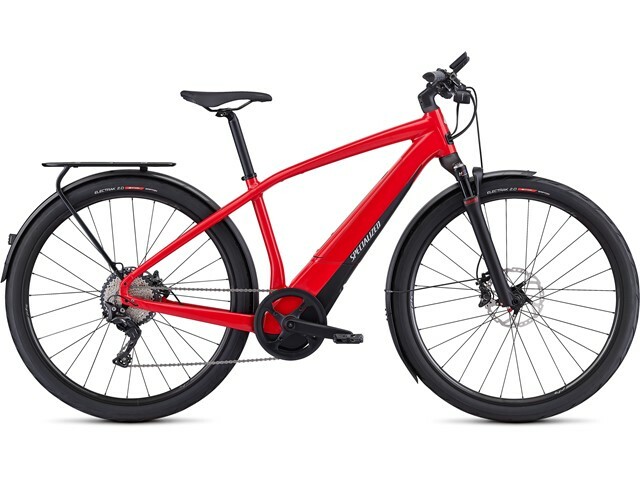 And with an internal belt drive design, it does this without added vibration for the smoothest and most silent ride possible. We made the custom 604 Wh battery to be fully integrated with the frame, removable for easy charging, and lockable for added security. It communicates with the display and has multiple modes to maximize the overall efficiency and range.